I have always been a bit of a bargain hunter, and usually working with a tight budget so I thought I would share some money saving tips and tricks I’ve learnt along the way! Cashback sites, such as Quidco* and TopCashback*, are a fab way to get some money back on your shopping. I mainly use Quidco and by installing their add into my browser I get a helpful pop up when I go to a site where I can earn cash back on any purchases which is great for reminding me to go through the Quidco site. You can get cash back from lots of online retailers so why not get some cashback on those items you need to buy anyway such as car and home insurance. This is the second year I have done the penny saving challenge to save up to cover the Christmas shopping. The simple idea is that on the first day of the year you save 1p, on the second day 2p and so on. Or you can do it in reverse with £3.65 on day one working your way down the daily amount. As I never have change on me I created a spreadsheet to show me the monthly amounts and when it’s pay day I put the next months amount in my savings account. I also use a money pot, like this Little Wishes My Treat Fund Money Pot* and have been adding pound coins and the occasional note to it at the end of the week if I have change in my purse, or money left over from an evening out. Plus you can’t get the money out without breaking the pot so the temptation to raid it for change can’t get the better of you! We had Sky TV (basic package), fibre broadband, phone calls & line rental. We decided that we were happy to cancel everything apart from the fibre broadband and managed to get this down to half price for the year. Another simple idea is to have a separate current account for you spending money i.e. what your allowing yourself to spend other than the cost of your monthly bills. I transfer this at the start of the month and this is what I use for any clothes purchases, meals out etc. Allowing money to roll over in to the next month means I can save some money one month if I know that I have several things on the next month. 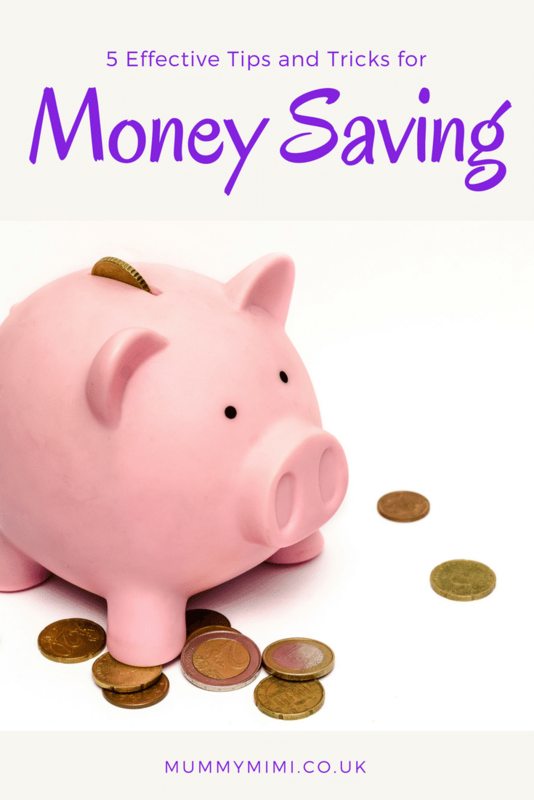 Those are some of my top tips and tricks for money saving, I will be sharing more in the future and if you would like more detail on any of the above drop me a comment below or over on Facebook!